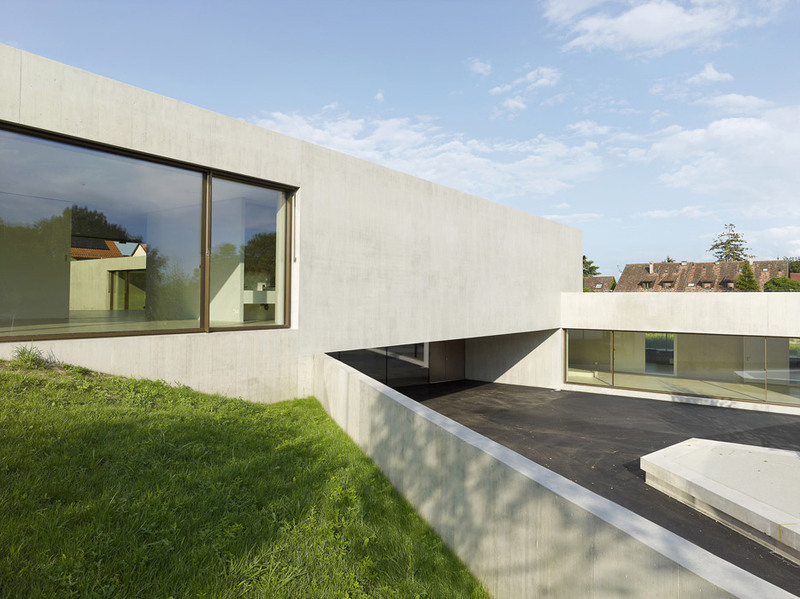 Architect Pierre-Alain Dupraz chose exposed concrete for this cross-shaped kindergarten and crèche in Switzerland, giving it an austere look (+ slideshow). 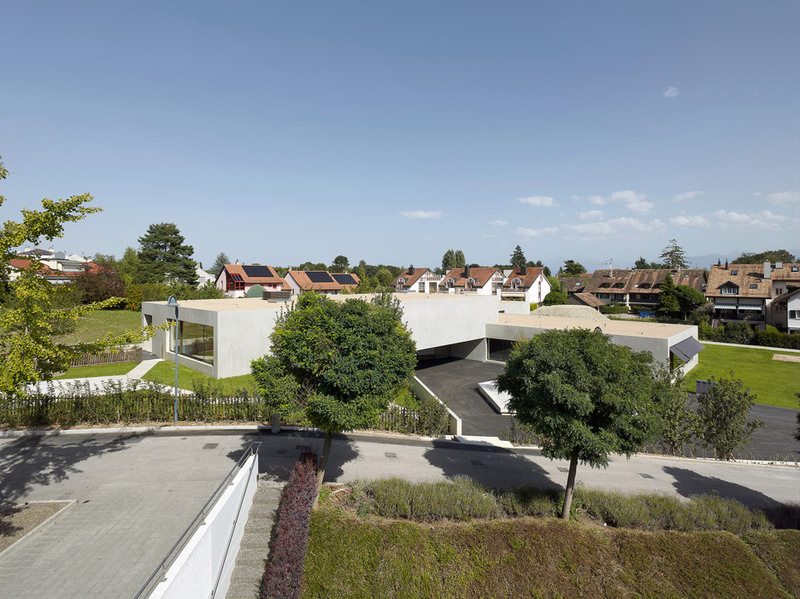 Found in a town on the shoreline of Lake Geneva, Kindergarten and Crèche in Prangins is created up from 4 rectilinear volumes that overlap at one end to give the building a crucifix-shaped program. Geneva-primarily based Dupraz selected this type to support diminish the scale of the building, helping to lessen its influence on its surroundings. 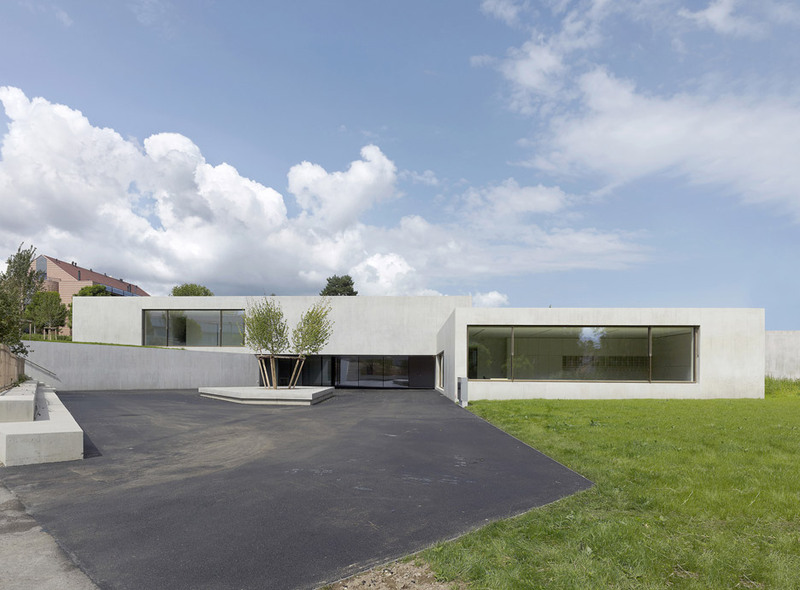 Three of the four volumes are embedded into the lower level of the sloping web site, even though the fourth is elevated on a concrete wall to create a porch above the building’s glazed entrance. 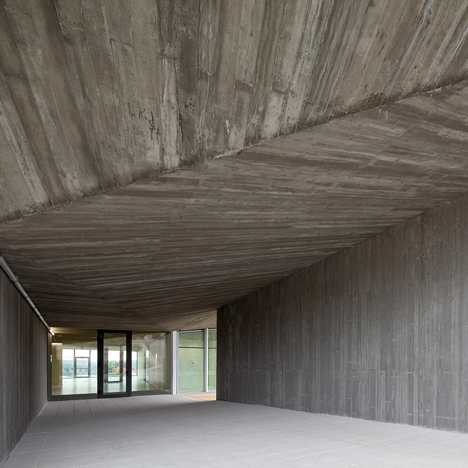 Reinforced concrete offers the framework, and is left exposed the two within and out. 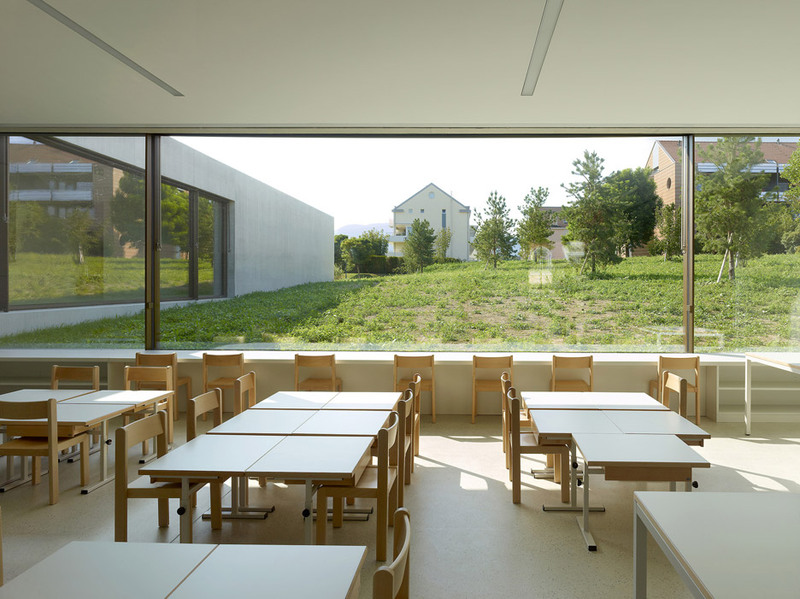 The architect envisioned the constructing as “one massive residence” rather than a college, taking a similar strategy to Japanese studios Rhythmdesign and Case-Real in their creation of domestic-scale rooms for a nursery in Kumamoto. 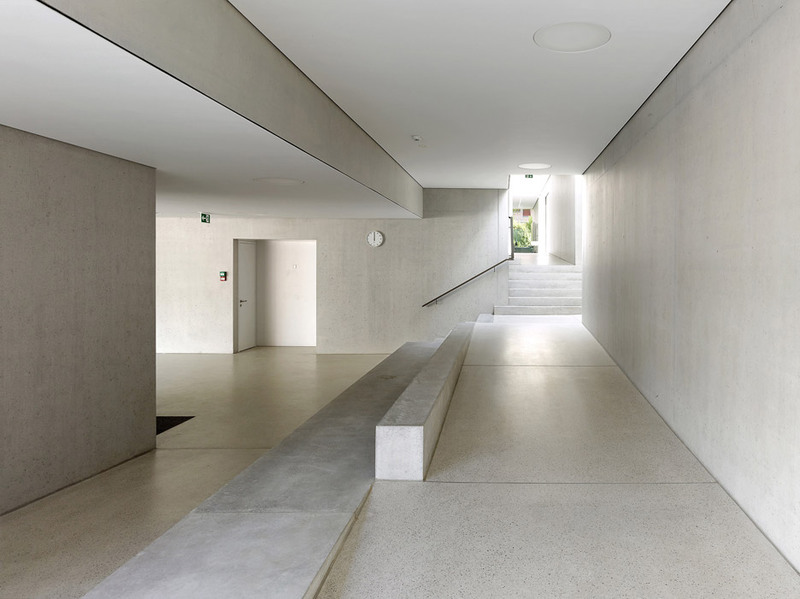 Two classrooms are found in every single of the three reduced volumes, whilst the elevated block consists of the crèche. “The new Prangins kindergarten is conceived as one particular large house that has been placed on a sloping website,” mentioned Dupraz. “The four volumes, which are mutually staggered by a third of every single unit’s floor height and interleaved, make the creating seem to be smaller and visually less obtrusive,” he continued. The concrete-lined classrooms are furnished merely with wooden tables and chairs, alongside neutral-toned textiles. 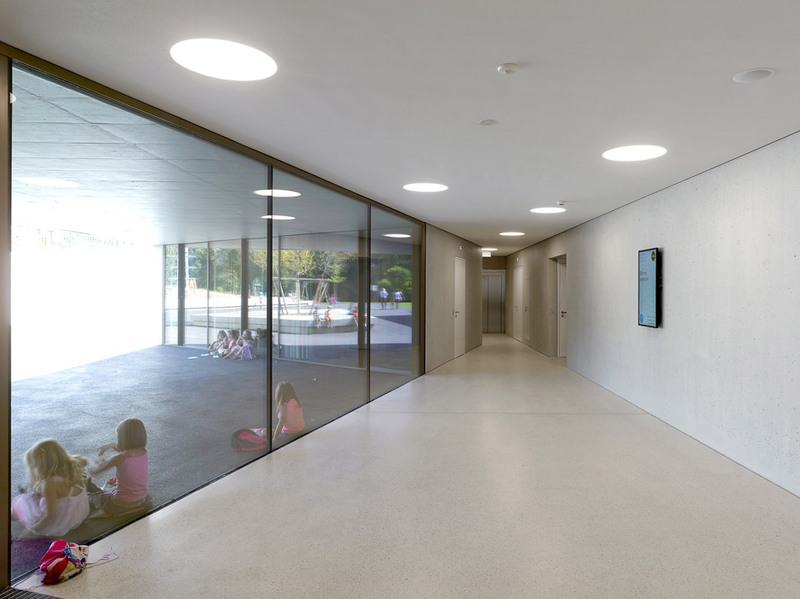 Large windows positioned in the ends and flanks of the blocks are close to ground level, offering a child’s-eye see of the grassy grounds. 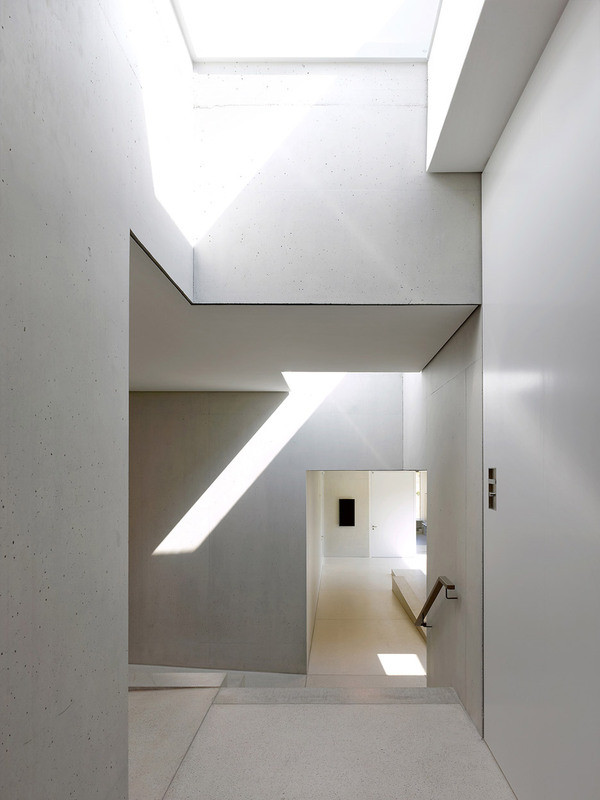 The massive windows and skylights permit normal sunlight into the heart of the developing, casting dramatic patches of light and shadow across the concrete corridors and staircases. “The natural characteristics of the location are highlighted by the various alignment of the big window openings, considering that the design and style paid great focus to visual relationships with respect to their placement,” explained the architects. 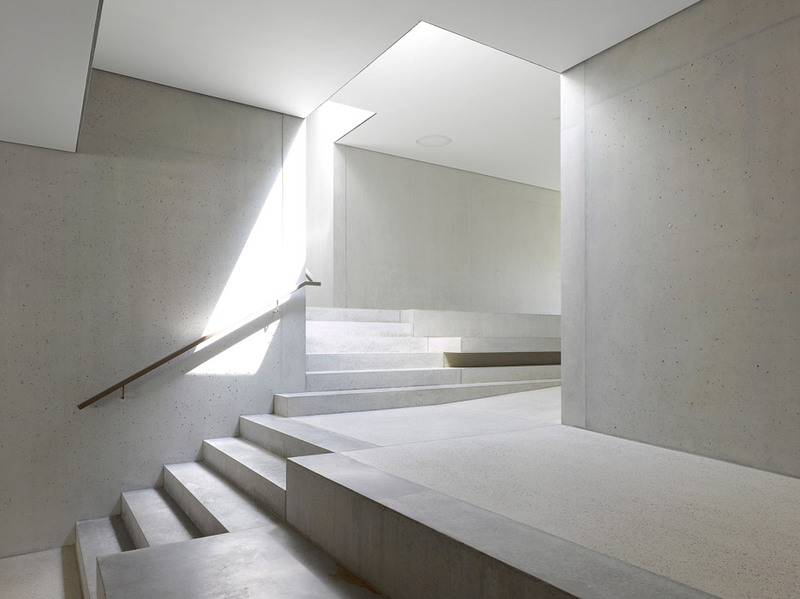 The staircases and ramps that website link the building’s varying levels sit at the axis of the 4 types, forming a “basic, framework component”, according to the crew. 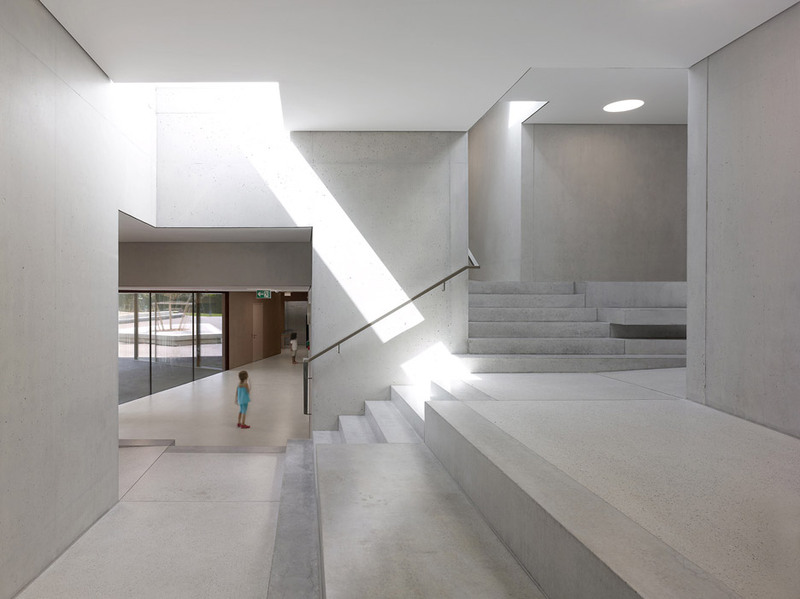 The creche wing can be accessed internally by way of this staircase or from the exterior at the highest level of the internet site, permitting it to operate independently from the kindergarten. This single open-strategy room can be also subdivided into smaller units if required. Photography is by Thomas Jantscher.